Student B Folder: Merged doc at the top. National Board components are now submitted fully online. That means you have to be able to upload your files directly to the website. I recently completed Component 2, which required four uploads. Preparing to upload those files is the tricky part. This was my process and rationale. First I set up folders in my Google Drive. One for Component 2, and within that, one for student A, and one for student B. Note: I started this process in March, almost two months before the upload deadline. It takes longer than you would think to assemble the eight assignments, rubrics, and student work samples. For each student I would have four files to start with. One for each piece of work for that student. I uploaded the NBCT cover sheet for Reading and added my candidate number. Then, by trial and error, I figured out the headings. The cover sheet has a specific header and footer, but I did not want that header and footer to be on the other pages of the doc. When I checked the box to make the first page header and footer different the existing logos for National Board disappeared from the first page and stayed on the following pages. I used copy/paste to get them back on the first page header and footer and then removed them from the second page. With one reading cover sheet doc set and correctly formatted I made four copies of it. Two for student A and two for student B. Then in each of those copies I went in and made the edits to show which student and which assignment the cover sheet was for. After that I pasted in the assignments, rubrics, and (if digital) the student work on the pages following the cover sheet. I went through an identical process for the writing cover sheets, add my id to one, get the header/footer formatting correct for the first page, but not on the subsequent pages, and make four copies. 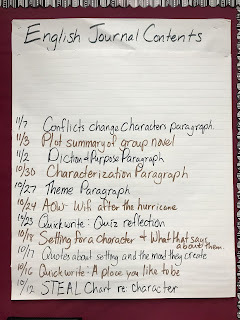 Again add the assignments, rubrics, and, if digital, the student work. In April, for the sake of making sure I had everything correct, I printed it all out and then collated in the pieces of student work that were not digital. When I had complete student packets, with all names and identifying info redacted, I took the whole packet for student A to the copy room and scanned it. But the email file never arrived. Twenty plus pages was just too big to send. So I moved on to plan B.
I scanned just the pieces of student work one at a time. This was actually a good thing because I had to adjust the contrast of the scan to make some of it legible. Those individual files were small enough to transfer by email and they all arrived in my inbox just fine. Now, I had four separate docs files per student, plus 2-3 scanned pieces per student. 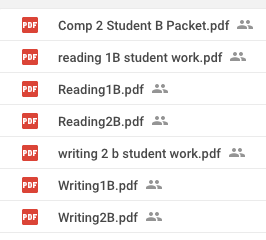 I downloaded each of the doc files for student A as a PDF. Then I dragged them back into my drive folder and also saved the PDFs of scanned work in the same drive folder. Next came the merge. To get all these separate PDF files together I used PDF Mergy. It's an app that works within Google Drive. To get it you right click on a PDF in your drive and select "Open With" and "Connect More Apps." Then search for PDF Mergy. Once you have the app right click on a PDF file and select "Open With" and "PDF Mergy." It will open a new tab with the PDF you selected. Then you can easily add more PDF files from Google Drive or from your computer. You can (and probably need to) drag them up or down to get them in the right order before you merge them. I clicked "merge" and saved the new merged PDF to my desktop. 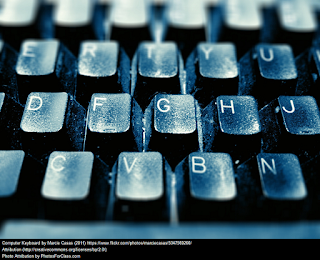 From there it was easy to upload to the NBCT site. I repeated the merge process with student B. My context sheet and commentary doc did not require any merging, so I just downloaded them from Drive as PDFs. (You could also do save as PDF from Word.) and then uploaded them to NBCT. I've heard some people say, "Uploading took all day." That was not my experience. With four files prepared in advance, the upload process took 10-15 minutes using the wifi at my school site. For each upload there is a 2-3 minute processing time. This scared me a bit the first time because I didn't know how long processing would take. After processing I could view the file just to make sure one more time that everything looked good, and it was in the right order, and then I hit submit. A technical note: Lots of folks go the route of printing out all the docs, putting in the student work and then scanning the whole thing as a PDF. (That was my initial plan anyway.) The problem is that method creates huge files, which take longer to upload. When you download or use "save as" to turn a doc into a PDF it has a much smaller file size. It is also cleaner looking and easier to read. So making a digital PDF instead of a scanned PDF of each of my docs, and then merging them with scanned student work allowed me to have smaller files sizes overall and cleaner looking documents. Next year I'll have a component that includes video, so that may make uploading trickier. I'll keep you posted. This was just the technical aspect of assembling the student work for Component 2. I also wrote about my advice and experience gathering the student work. You can find it HERE. Soon I'll share my experience taking the test for Component 1.